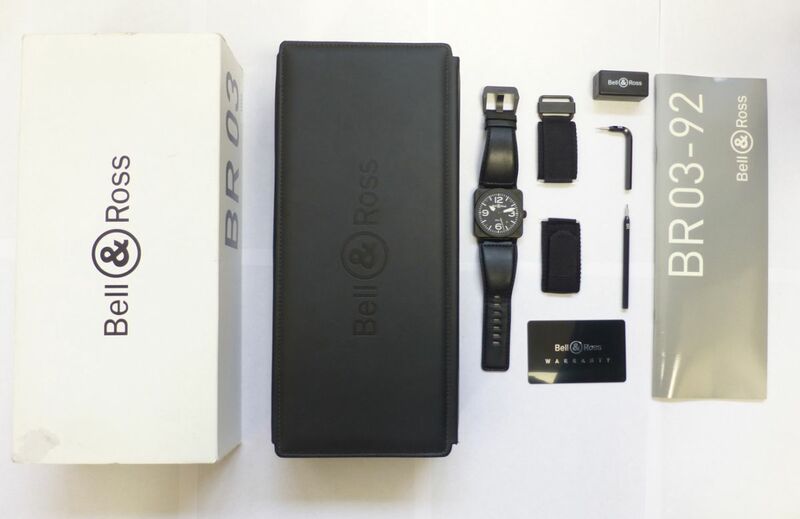 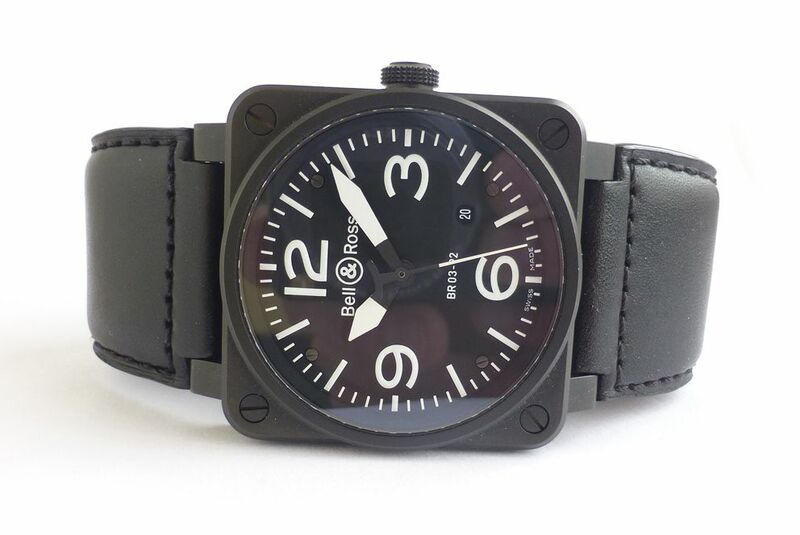 New looking condition Bell & Ross BR03-92 comes complete with box and papers, complete with original Bell & Ross leather and nylon straps. 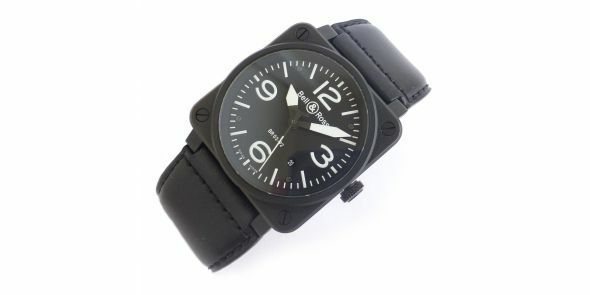 It was originally purchased form authorized dealers, Selfridges in 2009. 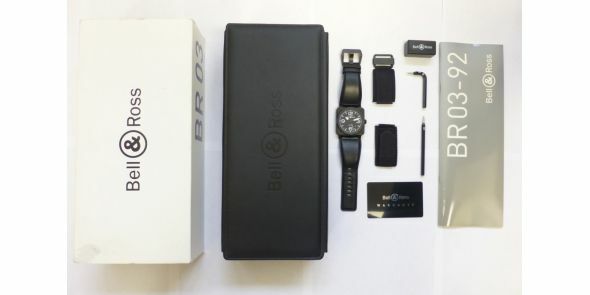 The retail is £2910. 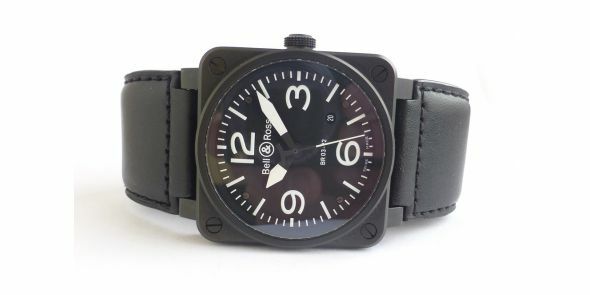 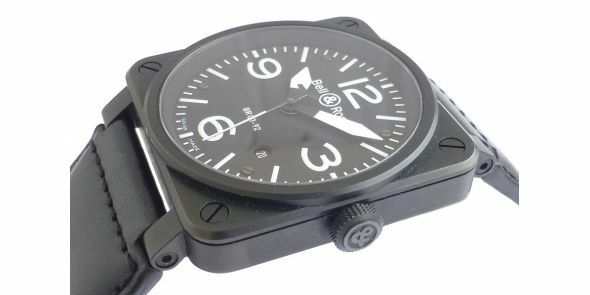 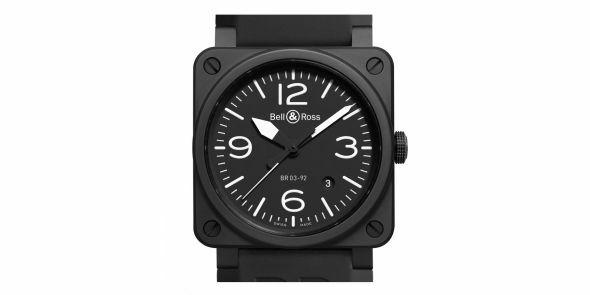 Made especially for professionals that require total reliability, Bell and Ross watches are perfect for making a statement with their distinctive square cases and aviation inspired designs. 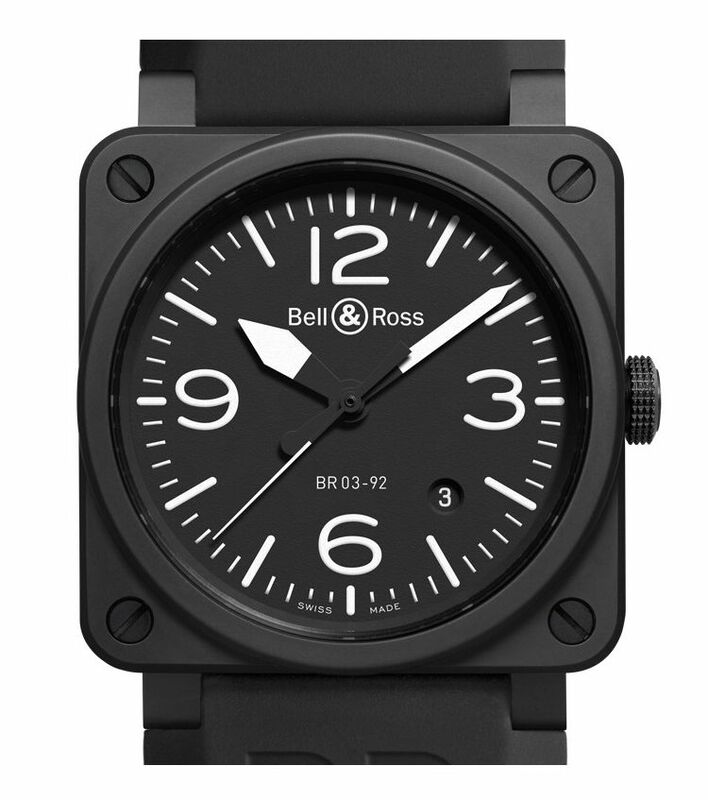 This Bell and Ross watch boasts a mechanical automatic movement embraced within a striking 42mm matt black PVD steel case. 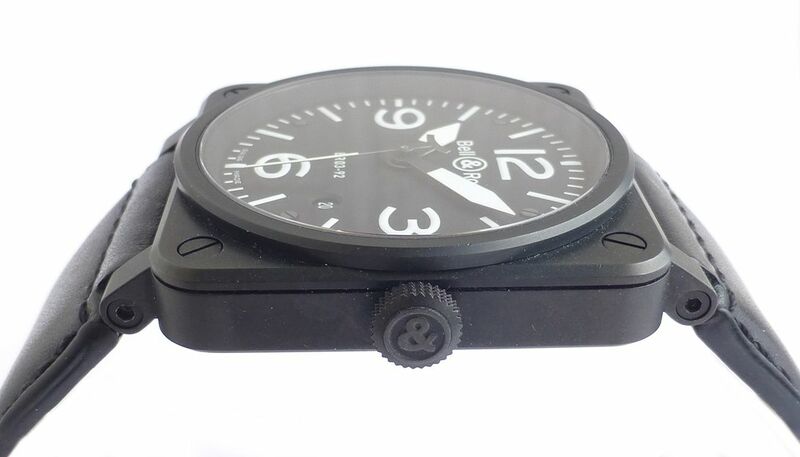 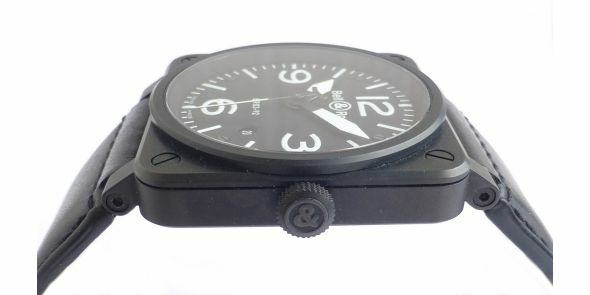 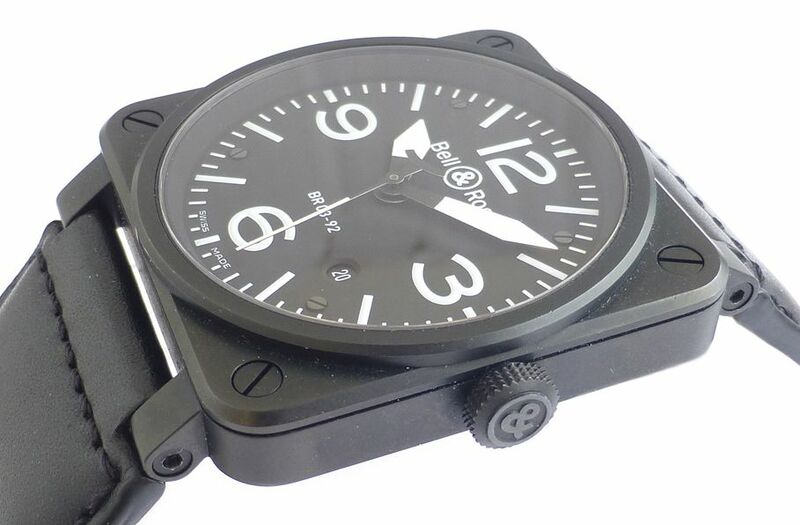 Housed beneath the scratch resistant sapphire crystal glass is a classic black dial in the distinctive style of a cockpit clock, known throughout the world to aviation enthusiasts and pilots. 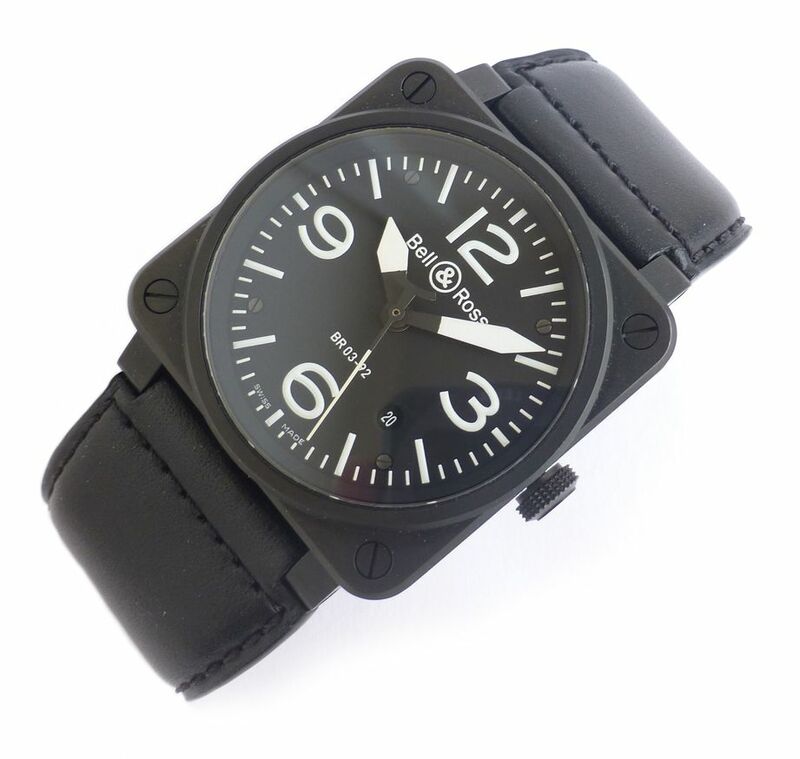 The hands are filled with Superluminova for optimal visibility. 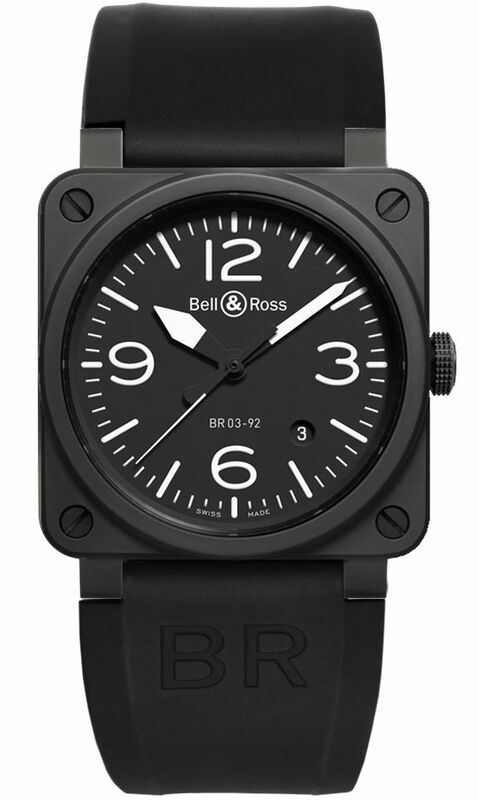 Like most Bell and Ross watches, the familiar logo is engraved on the crown to complete the iconic design. 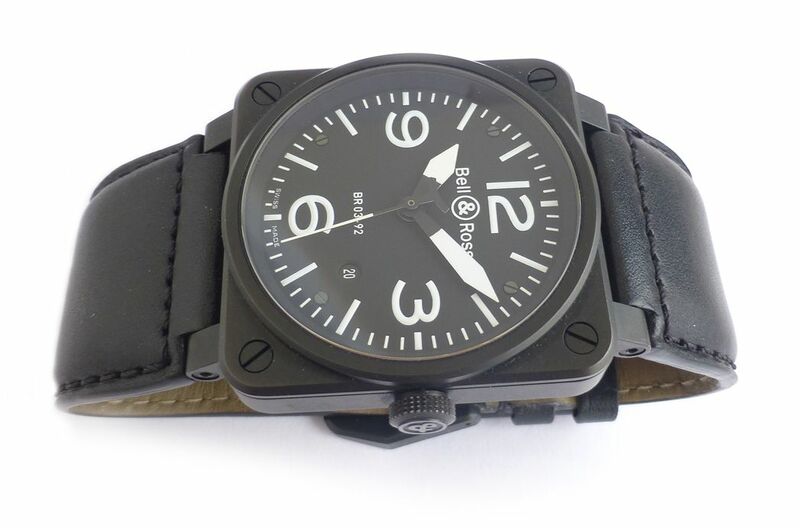 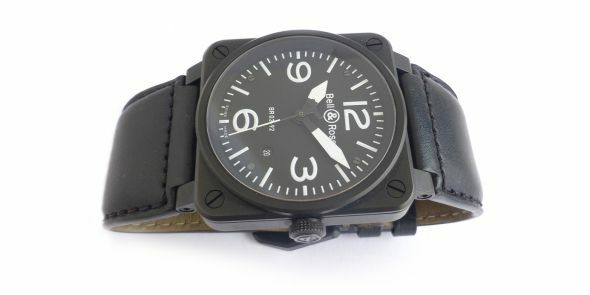 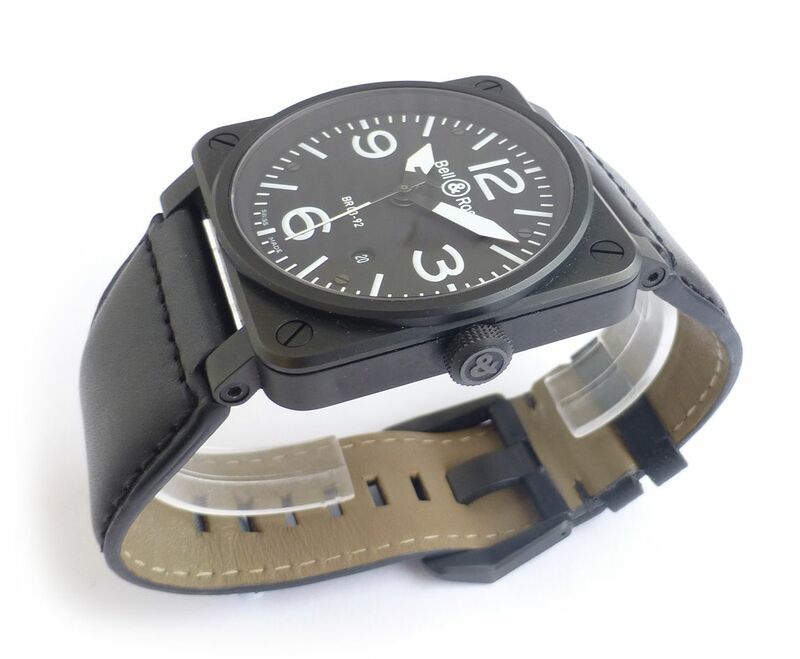 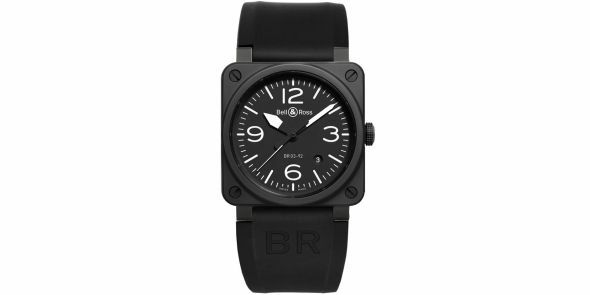 • The watch comes with an additional synthetic canvas strap which is easily interchangeable. 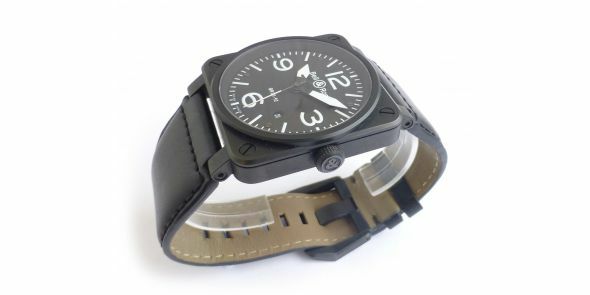 The watch is provide with a tool & instructions on how to replace the strap.